SURPRISE SALE!!!! 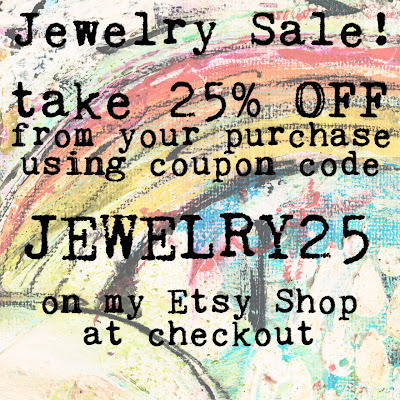 25% OFF ALL JEWELRY ON MY ETSY SHOP USING COUPON CODE JEWELRY25 ON YOUR CHECKOUT SCREEN. I can feel it: Spring is coming!